LynDee Walker grew up in the land of stifling heat and amazing food most people call Texas, and wanted to be Lois Lane from the time she could say the words "press conference." An award-winning journalist, LynDee traded cops and deadlines for burp cloths and onesies when her oldest child was born. Writing the Nichelle Clarke Headlines in Heels mysteries gives her the best of both worlds. 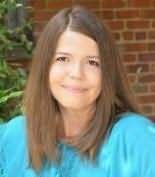 LynDee is a member of Sisters in Crime and James River Writers. Her debut novel, FRONT PAGE FATALITY, is an amazon.com new humor #1 bestseller. When not writing or reading, LynDee is usually wrangling children, eating barbecue or enchiladas, or trying to walk off said barbecue and enchiladas. She and her family live in Richmond, Virginia. "A brilliant, twisty mystery with fun and memorable characters. King is a writer to watch!." "Deft at imbuing her pop-off-the-page characters with both humor and heart, Jill Orr also spins a gem of a twisty mystery that will leave readers breathless as they chase a huge (and dangerous) headline with Tuttle Corner’s sassy, scrappy new star reporter, Riley Ellison. Utterly delightful - don’t miss this one, y'all!"